In the banking industry big data analytics can increase loyalty, drive sales and so much more, but it must be approached in the right way. Financial firms are constantly producing huge amounts of data and the smartest ones are analysing that data to drive efficiency within their businesses. 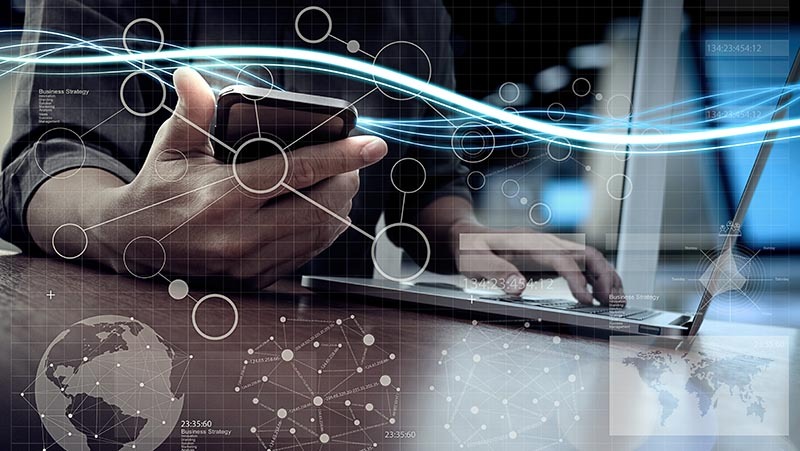 Big data analytics platforms are the key to driving this efficiency, helping banks improve everything that they do from customer interactions to selling additional services. For example, it’s becoming increasingly clear that targeting consumers in a convenient channel, at the right time, can increase loyalty. In addition, deploying big data analytics can enable banks to offer new services to customers by getting a 360 degree perspective on them. This can include such things as transaction history, spending habits and debt ratios that enable the bank to tailor their offers accordingly. Using data optimally can improve internal processes too. It can help to optimise transaction processing and to design marketing activities, capture leads and execute campaigns. At the same time, data-driven approaches enable firms to detect fraudulent behaviour, alerting banks in real time when suspicious transactions are conducted. However, there are challenges in harnessing this potentially valuable data. For a start, big data analytics is at its most effective when it is used to analyse multiple data sets, which requires new technologies and systems to be deployed. It also requires new skills, which is why many companies now employ teams of data scientists to manage their information and optimise the systems they’re using. Continued training is also important. The technology landscape is constantly changing and with it the products and services used. So, businesses should strive to stay up to date. Crucially, data is at its most effective when it can be shared across departments and made available to those who need it. It’s why you should aim to prevent potentially valuable information from sitting in separate silos within the business. Security is yet another concern that needs addressing. Due to the nature of financial transactions, data includes very sensitive information about customers. It is therefore essential that you manage and control this business information – an important part of complying with the EU update to the data protection regulation (GDPR) that comes into force in May 2018. As it has the ability to more easily scale in order to handle large amounts of data, many financial firms are also using cloud storage solutions. However, in the past, because of the nature of cloud provisioning some companies were concerned about the security levels that are in place. Today’s cloud providers comply with regulatory standards, as well as ensuring data resides in the correct jurisdiction. Providers also have strict protocols in place to keep information secure. At the same time, using the cloud can help banks to be more nimble. In an age where challengers such as Atom Bank are appearing faster than ever, the flexibility offered by the technology can provide a much-needed boost to larger firms. It’s clear big data analytics is having a positive impact on the financial sector, helping banks to stand out from their competitors while improving services and loyalty. This is leading to increased efficiency within businesses and more revenue for firms through an uplift in sales. Of course, to take full advantage of this technology approach, companies need to ensure they have a big data strategy in place, one that looks at every aspect of their business to see where this kind of analysis can enable it to do more. This will undoubtedly mean that a new approach is required, involving new technologies, personnel and skills, even replacing legacy systems. If banks are to realise the potential that big data analytics has to offer, it’s an unavoidable upgrade. Thank you for your rating, now why not share it? Could chatbots talk their way into a business banking job?